Albuquerque, N.M. – Michael Palombo, the owner of V Roast Bistro in Nob Hill, is facing backlash for a Facebook post. It has been deleted from his page, but he is learning the hard way that once something is out on social media — there’s no getting rid of it. “A friend of mine called and let me know that people were slandering the business and myself online,” Palombo said. 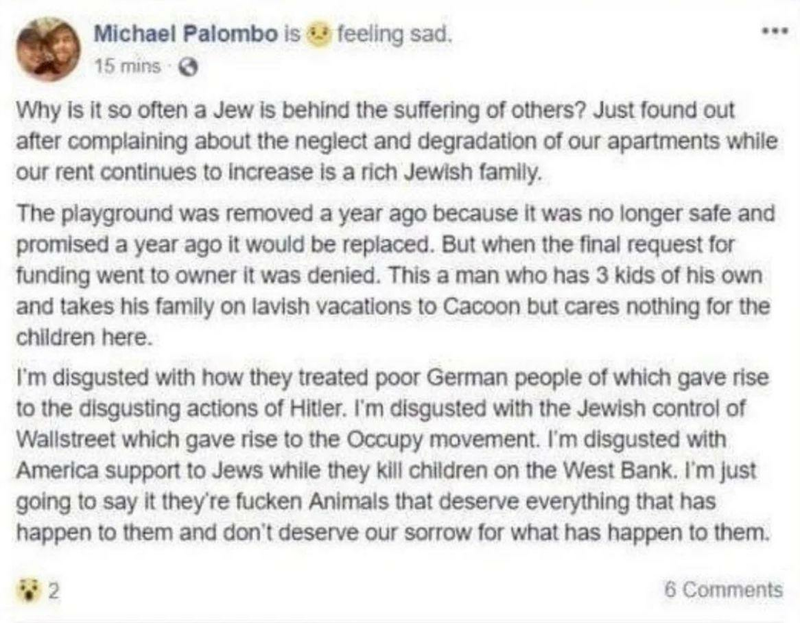 A post on Palombo’s Facebook page began with a question, “Why is it so often a Jew is behind the suffering of others?” The post was about his landlord who is apparently Jewish and is increasing rent while neglecting the apartment complex. Palombo deleted it, but not before it was screenshotted and posted to Reddit and other social media platforms. It’s now been seen by hundreds of people. Despite it being on his page, Palombo wants people to know he didn’t write it and it contradicts what he stands for. “All I can say is it wasn’t me. It was a hack. Somebody very vindictive, obviously,” Palombo said. Palombo’s Facebook page shows that he’s not shy about his political opinions and he does have opinions about Israel. “I haven’t spoken out against Jews but I’ve spoken out against Israel and their occupation of Palestine,” he said. He says he has no idea who would hack him, but he has an idea about why. “I’m anti-Trump and vegan so there’s a lot of reasons to hate me,” Palombo said. He says his business ratings on Google and Facebook have gone down since the post went viral. He’s scared he’s going to lose his livelihood because of it.